The Capital Markets Authority Implementation Organization has announced the selection of Kevan Cowan as the initial chief regulator of the future Capital Markets Regulatory Authority (CMRA). As chief regulator, he will also serve as chief executive officer of the CMRA’s regulatory division. Cowan is a seasoned financial services industry executive, with almost 20 years of industry experience gained with TMX Group from 1997 to 2015. His various responsibilities throughout the organization included overseeing and strategically expanding the TSX Venture Exchange, growing the Toronto Stock Exchange both domestically and internationally, and working as a member of the Canadian Dealing Network’s executive management team. He has also been a key player in numerous ongoing regulatory and policy developments in the capital markets and the security industry, which have been significantly transformed over the last two decades. A stint with Smith Lyons LLP (now part of Gowling WLG), during which time he executed a wide range of securities and corporate law transactions and became a partner in corporate securities law, bolstered his legal expertise. 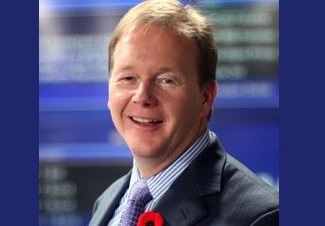 No stranger to boards and advisory committees, Cowan has been part of the Toronto financial services alliance (currently outgoing chair of the board), IIROC (director), the Calgary Economic Development Investment Advisory Committee, TMX Group affiliates, and the OSC Small Business Advisory Committee, among many others. “It's an exciting opportunity for me to apply my knowledge and experience to help build our vision of a cooperative and highly effective capital markets regulator,” said Cowan, who will serve as CEO of the CMAIO pending the creation of the CMRA. The CMAIO will soon select an executive management team. Members will be chosen from the different regulatory organizations of the participating jurisdictions: British Columbia, Ontario, Saskatchewan, New Brunswick, Prince Edward Island, Yukon and Canada.